What do you call those sweet courses that most golfers have never heard of or been told about? 'Hidden Gems' is a term I'm not too fond of - who hides their gems? After some input from the gang on Boards.ie I got some useful alternatives... of which Fairways Less Travelled was perfect. 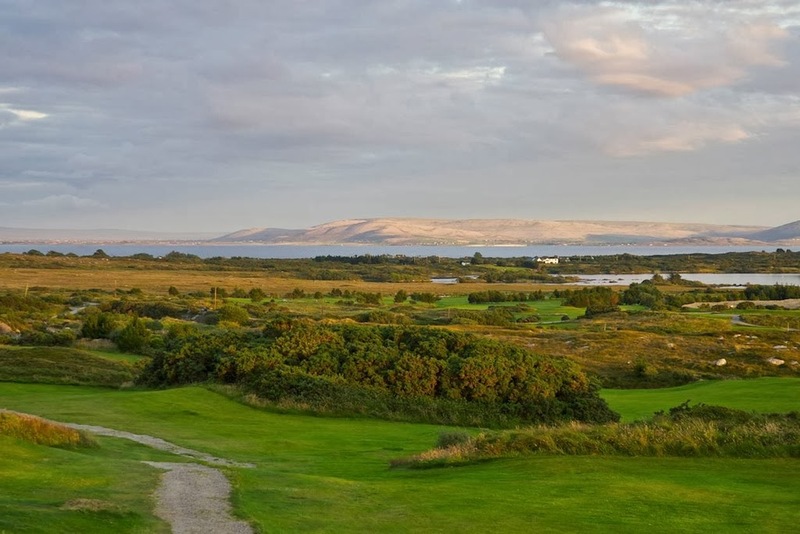 So here are Ireland's top 20 Fairways Less Travelled: 10 links and 10 parkland. Each blog will have free fourballs to be won. 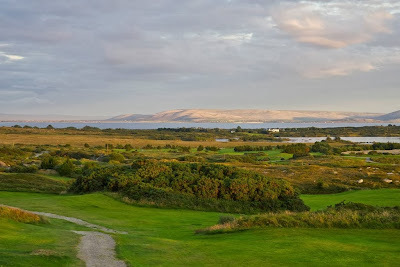 Bearna sits on the Galway Bay coastline, west of Galway city. Opened in 1996, Bearna has a mystique that is enthralling. The holes are built on bogland, sliding down to the ocean and offering views over the Aran Islands and across to the Burren. These are made even more spectacular by the tall clubhouse which looks over much of the course. But Bearna’s unique qualities come from elsewhere - from the deep, rich turf, the still, dark waters and the flora that flourishes everywhere, lavishing the undergrowth with colour. Gorse bushes streak back and forth (see photos), often defining holes in their splashes, yet the rough stays well back, making Bearna very playable. Then again, if your ball does find the rough or the water – reload! The design is calm and unfussy – a what-you-see-is-what-you-get affair – and what you get are great driving holes, bumpy natural fairways (the odd granite ridge bursts forth) and big flowing greens that provide tempting targets. It is also spacious with some sweet walks from green to tee. Water appears on 13 holes and the short par four 11th hits over Lough Inch. The last few holes head up to a gentle hillside, where the 16th is one of the most thrilling holes on the course (high tee and high green). This is the kind of golf course where everything works. Green fees €20 - €40. 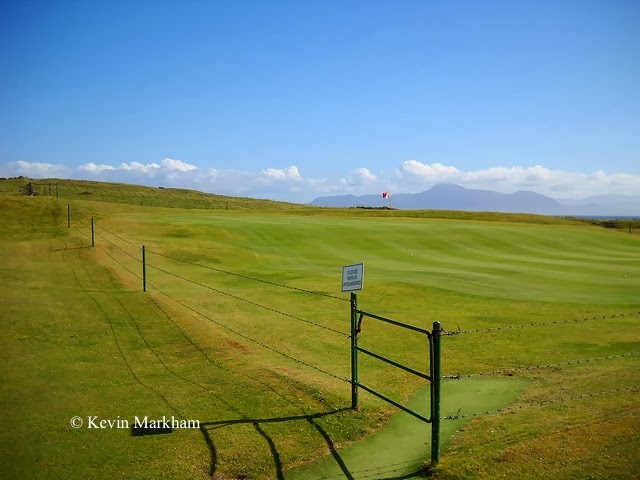 Sure, it’s only a nine-hole course, it has greens surrounded by barbed wire and it has the occasional cowpat or sheep dropping to side-step… but underneath all that runs a vein of gold. 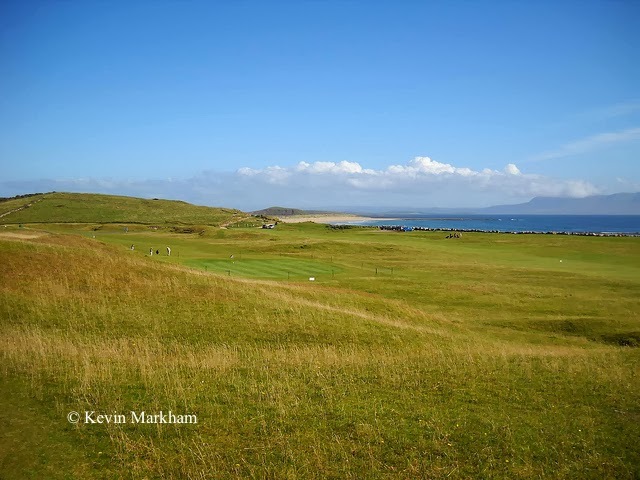 The location is spectacular, with mountains rippling across the skyline and Clew Bay constantly in view, and while views don’t make a golf course they make Mulranny a golfing experience not to be missed. The design, like the clubhouse, is simple. 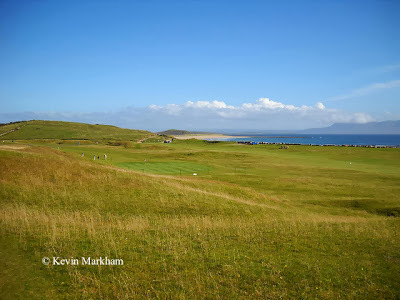 Holes flow over mostly open ground, using the dune ridges that nature created and you only have to look at the likes of Royal County Down (RCD) to appreciate that the best links are the most natural. I’m sure it is a rare thing seeing Mulranny mentioned in the same breath as RCD, but a natural links is a natural links. There are constant gentle rises and falls, as well as more rugged parts such as the steep rise to the 9th/18th green, and the greens have tremendous (there’s that word ‘natural’ again) shapes. The second half of the course brings you right down to the sea and it is here you are most likely to have a cattle encounter. Not the most approachable of hazards but at least they’re usually moving on. 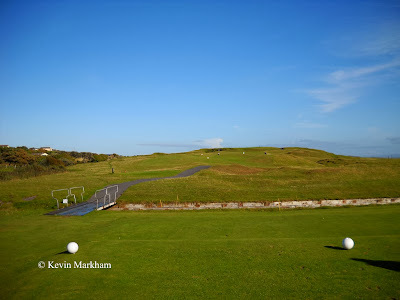 You’ll be unlucky to lose a ball as Mulranny is not a penal course – it’s not supposed to be – so get out and enjoy it. In fact, the hardest thing might be finding Mulranny village itself, seeing as it is signposted with five different spellings (e.g. Malaranny). The website boasts that it is One of the finest 9 hole golf courses in the West of Ireland. I beg to differ: it is one of the finest and most fun in the country. The course is holding Open weekends (Fri-Sun) from January to March. To win a free fourball for BOTH golf courses, leave a Comment below with your name, email and the answer to the following question: Which Bearna hole hits over Lough Inch. My son loves Bearna but I found all the gorse just annoying. 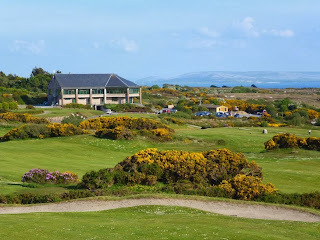 I have played Galway Golf club at Salthill- but for som ereason have not taken trouble to play Bearna. One of the most scenic golf courses I've played is Connemara Isles golf course in Eanach Mheain. The par 3 3rd hitting over the sea onto the island is spectacular with the 12 Bens in the background. Barna is good but just not as picturesque.